Earlier this week, U.S. Brig Niagara senior captain Walter Rybka assembled a meeting-weary group of colleagues on the dock behind the Erie Maritime Museum for some brief instructions. We were hosted by staff and board members of the Flagship Niagara League, who joined us for a late-afternoon sail on Lake Erie and a chance to shake off the dust of our day jobs. Before we boarded the ship, Walter shared these words from Richard Henry Dana’s account of life as a sailor, Two Years Before the Mast: “There is not so helpless and pitiable an object in the world as a landsman beginning a sailor’s life.” No further comment is necessary, so I’ll just share some of my favorite photos of the evening. If you ever have the chance to take a day sail on Niagara and can work with the crew hauling on lines and learning a bit about how the ship functions, do it. If you haven't done so already and would like to help shape the PHMC's strategic plan, please take a few minutes to complete our survey. Thanks for your input. Drake Well Museum made an appearance in the blog "52 Beginnings" recently. Blogger Dana Casanave is attempting to run 52 marathons in 52 weeks to raise awareness and financial support for South African AIDS orphans (each marathon run is dedicated to a different child). When Dana was in Titusville in August for the Drake Well Marathon, she was impressed by the unique item (pictured above) in the customary race packet. 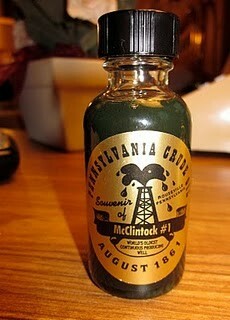 "We got to Titusville, where in 1859 oil was successfully drilled, making it the birthplace of the modern oil industry. Oil related businesses quickly exploded on the scene and in the 1860's 8 refineries were built, growing the town from 250 to over 10,000. As Nicole and I went through our race packets, we found our own little bottle of crude oil! Not sure what I was going to do with it, but I knew my kids would find it pretty cool and I'll give the race points for it being my most unique race packet sample!" Photos from the Pennsylvania Military Museum's latest edition of the Then & NOW Military Timeline program are available on their website. The photo above captures the gamut of time periods covered by the program. But first: As part of our current planning process, PHMC worked with the PA Office of Administration to develop a survey to help us better identify stakeholders, determine the role PHMC should play regarding history in the commonwealth, and find out how well we're doing with the programs and services we provide. You can help shape the direction of our strategic plan by accessing the survey here—please respond by Sept. 24. Thanks in advance for your input. Just to be clear—a day away from the cubicle wasn’t the ONLY reason I headed east on the Turnpike in late August to visit Pennsbury Manor. That was a bonus. The real draw was a chance to catch up on what’s been happening there and to see “The Seed of a Nation,” the new exhibit at the (relatively) new visitor center. During the exhibit installation phase, we posted some behind-the-scenes photos (courtesy of PHMC staff) here, here, and here, but I had not gotten to see the finished product for myself. As usual, my photographs will not do it justice—my hope is to give you a hint and inspire you to explore it on your own. I love the look of this exhibit. Warm, vibrant colors. Visual variety, with graphics, period images, high-quality whitecast forms (see detail below), photographs, and objects. Opportunities to interact physically with the exhibit range from low-tech (such as flip panels) to high-tech (such as touchscreen video monitors). It’s a thoroughly modern exhibit that also creates a sense of the historic site that visitors will see as they tour. As beautiful as this exhibit is, I think it is the content that shines brightest. (Full disclosure: I was involved in the planning stage of the exhibit, primarily as a semi-soulless bureaucrat focused on keeping the process moving.) The exhibit opens with an exploration of William Penn’s religious and social beliefs, how they were reflected in the establishment of Pennsylvania, and how those beliefs (or their reflections) influenced the foundations of our American government. Sound remote and academic? We’re talking religious toleration and the role of religion in government and public life—hot topics in the news recently (and periodically for the last 300 years or more). The exhibit goes on to introduce us to the other people who lived at Pennsbury during (and after) Penn’s time—his family and the diverse peoples who visited with and worked for them (whether as free, indentured, or enslaved laborers). The changing image of William Penn in popular culture and advertising (I know you’re thinking about oatmeal right about now) serves as a transition between the late 17th-early 18th century and the reconstruction of Pennsbury in the early 20th century. The section on the reconstruction presents, in my opinion, a fascinating array of information about the documentary and archaeological research that shaped the initial work, controversy over the reconstruction at the time it was launched, and the continuing research that has refined and revised the interpretation of Pennsbury to the public. 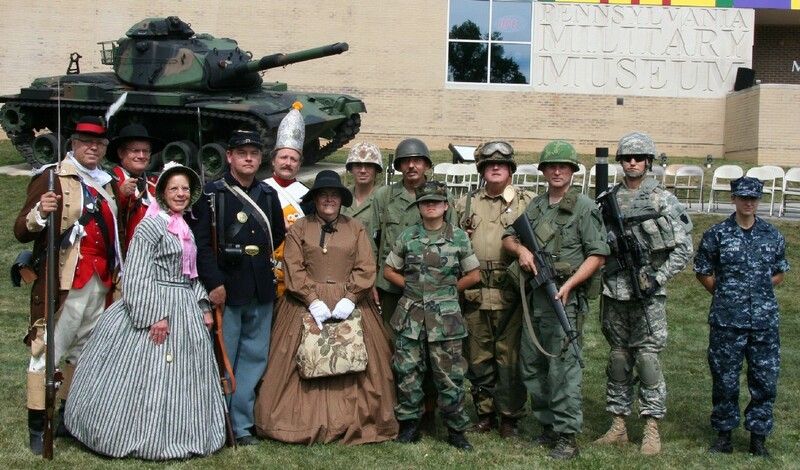 You’ll never look at a historical reconstruction or restoration in quite the same way again. I’ve really just scratched the surface here and it’s taken more words than I expected—so I’ll leave you with this. On Sept. 30, a special evening of food, drink, and entertainment is planned in support of Pennsbury Manor—a reservations-required taste of the 17th century called “Dine Around the Manor.” Get there early and dive into the exhibit before you soak up the atmosphere of the party. I think you’ll be glad you did. This post, as originally published, had a photo from Drake Well that I incorrectly identified as a geothermal well field for the new visitor center. Thanks to Barb Zolli, the photo is now correct. Maybe it’s because I’ve been reading Animal, Vegetable, Miracle, Barbara Kingsolver’s chronicle of her family’s effort to source their food very close to home for a year. Or maybe it’s just one of those convergences that happen from time to time. Or maybe (hmm) it’s because my brain was flailing around for an idea. Whatever. Several items have come together for this week’s post that I hope will spark some interest among readers of this blog. We’ve posted info in recent weeks about the Tall Ships Erie festival going on this weekend (actually it started yesterday with a Parade of Sail). What I didn’t know until this week is that the event includes something called the Green Zone, in the open lot next to the Erie Maritime Museum. 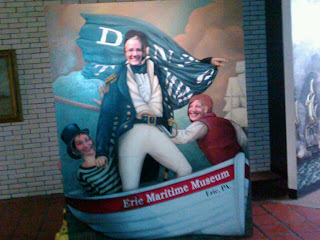 According to an article on GoErie.com, folks from Mercyhurst College will be selling produce from their organic garden (to benefit the Flagship Niagara, pictured above). Representatives from Gannon University, Penn State Behrend, the Sierra Club, Solar Revolution, and other organizations will have loads of info for people who want to help make the planet healthier and reduce their environmental impact. Gannon’s Environaut environmental science boat will also be on the scene. And speaking of produce, check out Landis Valley Village and Farm Museum’s blog, Life in Landis Valley, for info on the Heirloom Seed Program. I wrote about the program briefly in a post about the annual Herb and Garden Faire (see photo above), but there’s a lot more to know. Obviously growing your own vegetables is a great way to green up your life (pun intended), save some bucks, and cut down on transportation impacts. Using heirloom seeds helps to preserve food history, increase biodiversity, and save even more money over time (you can harvest your own seeds from heirloom varieties and have true-to-form plants in succeeding years—that doesn't really work with hybrid varieties). As we have the chance to upgrade facilities at sites on the Trails of History, PHMC is working with other state agencies and our contractors to invest in new technologies that reduce energy use, making our operations more environmentally and financially sustainable. Geothermal systems for HVAC (photo above shows geothermal wells being drilled), lighting fixtures and bulbs that use less power and generate less heat, and adjusted standards for temperature and humidity controls (in accordance with the museum field’s changing recommendations) are helping us to continue to be good stewards of the material heritage in our care. Gee, isn’t that one of the principles in the Pennsylvania History Bill of Rights? I apologize for starting your holiday weekend with a really bad pun, but I couldn’t help myself. Although it occurs to me that since many of you don’t know what MEET-U stands for, it’s not much of a pun. 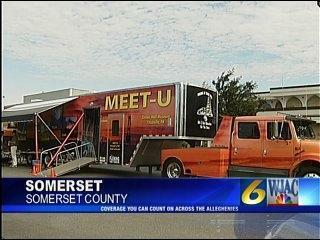 To end the suspense: MEET-U stands for Mobile Energy Education Training Unit. So, I guess the whole thing is a pun, and it’s not my fault after all. Phew. Puns aside, MEET-U is an initiative organized by the Drake Well Museum and originally designed to teach school students about the oil and gas industry. MEET-U was also envisioned as a way to help the museum maintain a public face during the building and exhibit renovation project (ongoing—we posted a couple of pictures here last week). 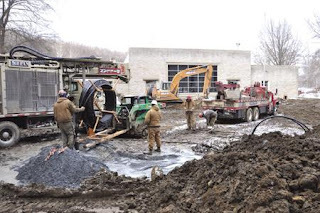 Still in its initial year of full operation, the program has evolved in response to skyrocketing public interest in natural gas drilling and Pennsylvania’s highly prized Marcellus Shale deposit. During the school year, the MEET-U team visits elementary schools throughout the state to engage teachers and students with exhibits and media presentations about energy sources and extraction. This summer, the stunning orange trailer has also made appearances at county fairs and has been hosted in a number of communities, such as Somerset, Pennsylvania. For more information, you can visit the MEET-U website. To sign on as a sponsor or to schedule a visit, contact project director Dan Weaver, twr38w[at]gmail[dot]com.